The Petroleum Ministry has blamed negligence for causing the devastating fire at state-owned gas transporter GAIL India Ltd's gas pipeline in Andhra Pradesh that killed 22 people. The gas sales and purchase agreement between ONGC and GAIL has no mention about the quality of gas. ONGC believes stripping of gas was GAIL's responsibility while the gas utility feels otherwise. Sources said following the accident, GAIL has decided to put separators at gas sources in the Krishna Godavari, Cauvery and Cambay basin. GAIL has reduced pressure at pipelines in Andhra Pradesh, Tamil Nadu and Gujarat and is carrying out thorough checks. Any pipeline which is found to have been corroded or is more than 15 years old is being replaced. Following the accident, GAIL has suspended officials responsible for the safety of the pipeline passing through the populated area. It suspended General Manager Pankaj Patel and Deputy General Manager Rakesh Kumar. "Pending the outcome of the inquiry set up by the government as well as the company, two senior officials in charge of regional operations and maintenance of the pipeline network have been suspended," GAIL had said in a statement on June 29. Under a 2006 agreement between ONGC and GAIL, the latter is responsible for removing condensate and water, which corrode the pipeline because of high presence of sulphur. The 18-inch pipeline carried gas from state-owned ONGC's gas field in the East Godavari district. India to observe 2015-2016 as Water Conservation Year: Uma Bharti, Minister for Water Resources, River Development and Ganga Rejuvenation. The minister appealed to every section of the society to join this movement. The year 2015-16 will be observed as water conservation year and a public movement will be launched during the year to conserve the precious resource, Water Resources, River Development and Ganga Rejuvenation Minister Uma Bharti said on Wednesday. The minister said the cooperation of state governments, NGOs, civil society, youth and retired personnel will be taken in this task. She said, public movement has become a necessity for conservation of water and river in the country as it is an important element of development and at some places the sacred water of the River Ganga is not even fit for consumption by animals. Referring to the apprehensions raised by some sections on the viability of inter-linking of rivers in the country, Bharti said, "we will ensure that environment, aqua life of rivers and eco-balance is not disturbed in the process." She said her government is committed to the inter-linking of rivers as it will ensure equitable distribution of river water in the country and proposes to fulfill this task within ten years. The minister also referred to the criticisms made in a section of the media about the efforts to locate the extinct Saraswati River and said that there is no religious feeling behind this. In fact, this will help us to locate the water reservoirs en-route which can be utilized for irrigation, the Minister added. Expressing concern over the pollution in river Yamuna in Delhi, the Minister said her Ministry will give full cooperation to Government of NCT Delhi in making Yamuna pollution free. She informed that she will be taking a meeting in this regard within a day or two. Referring to the Ganga Rejuvenation Programme, the minister said whole country is united on this issue. She said Government will ensure that Ganga is pollution free and flows uninterrupted. She said "We will ensure that within a period of three years Ganga is free of most of its pollution and at least on stream of Ganga flows uninterrupted." The minister appealed to every section of the society to join this movement. There is no provision of reviewing drinking water quality at both source and supply levels. In developed countries, the water quality of the source reservoir is reviewed every month and the results are sent to each resident. I request that this should be done in India, too, to ensure that the quality of potable water is maintained. Additionally, water quality testing labs at block level should also be there. In urban areas, mobile testing laboratories can provide easy access to people. Bharat Ratna recipient and cricket legend Sachin Tendulkar in association with Livpure Foundation recently launched “Shuddh Paani Swastha Bharat”, a movement aiming to lower the mortality rate among children under five due to waterborne diseases. According to the National Health Care Survey 2013 less than one-third of Indian households have access to purified drinking water. The ace batsman spoke to the Metroplus about his concern about this and other health-related issues. How do you feel connected to the cause of eradication of water borne diseases? There are several children aged under five who are affected by diseases caused by impure water. Not only their health is affected, many lives are lost as well. Access to safe drinking water is a basic human right and this is the reason why I got associated with Shudh Pani, Swastha Bharat campaign. How is Sachin as a brand ambassador going to work for this campaign? Sachin as a brand ambassador can always propagate the message to his fans, followers and media. But it’s not an initiative that requires a few individuals to push. I think this will require a mega effort by the entire nation. I always want to be there to create awareness. I think once you start creating awareness the next steps follow automatically. What suggestion would you give to the concerned authorities, including the Government to provide on access to clean drinking water for all? How effective do you think is the medium of campaign to support a cause? For water borne diseases, campaigns are required because of water contamination in the country. Since, we cannot directly impose an external cause-based model in the nation, we need to come up with campaigns that develop need-based models of sanitisation that are suitable in low-income environment. You are UNICEF’s brand ambassador for hygiene. Do you find your role in this campaign interlinked with it? Yes it is linked because both of them involve children. As the UNICEF ambassador, I have spent time with children in remote places that are not easily accessible and taught them cleanliness and certain level of hygiene like how to wash their hands. In this campaign, we have school children playing a really important part. Under the Student Health Ambassador Programme, selected school students would be trained to check the water for bacterial contamination with a small kit provided to them. If its impure they will report it to the concerned authorities. 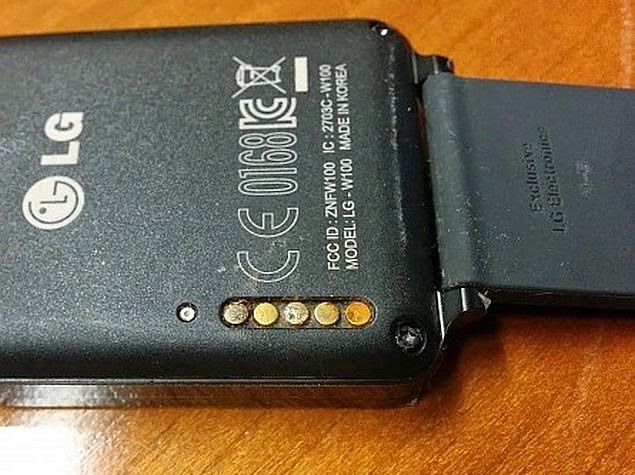 Corrosion of Terminal Pins irritates LG G Smart Watch users. An OTA software update issued to stop corrosion. Seems strange, but it is pretty much possible. LG’s G Watch users have complained of irritation on the skin where the watch touches the body. LG has started rolling-out a software update for the G Watch to prevent the corrosion problem seen on the smartwatch's backside-charging pins. Revealed at the Google I/O event, the LG G Watch continuously streams current to the backside-located charging pins, even when the device is not charging. These current-filled pins, when exposed to sweat-covered skin, get corroded. The new update however, will stop the continuous streaming of the current to the G Watch's charging pins when not charging. 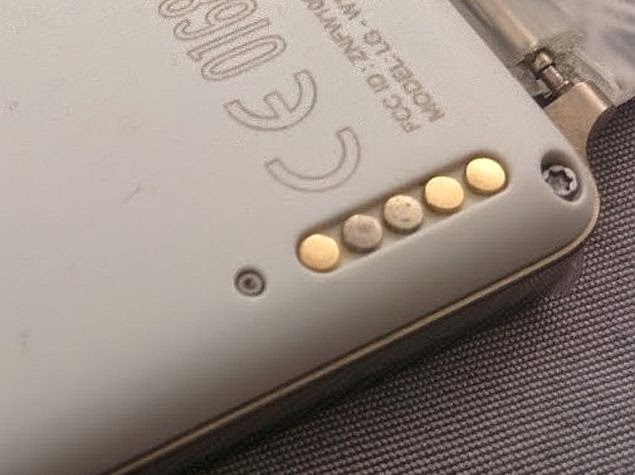 "Recently it has come to our attention that a small number of G Watch devices have been reported to have developed discoloration and residue buildup on the terminal pins located on the back. While completely safe and unlikely to affect charging, LG will be rolling out a maintenance release over the next few days that will disable the current when the G Watch is not in the charging dock. The maintenance release will be rolled out automatically over-the-air to all G Watch owners. We thank G Watch users for their patience and apologize for any inconvenience this may have caused," LG support told an affected user, and explanation corroborated by Google to Android Police. The area is densely populated and has very old sewer lines which run close to water pipelines. These pipelines are in extremely bad condition as a result of which sewage content frequently mixes with the water supply. LUCKNOW: Residents of Rajajipuram are facing the problem of contaminated water supply for past many days. The residents of five wards -- Kunwar Jyoti Prasad I, Kunwar Jyoti Prasad II, Hardeen Rai Nagar, Labour Colony and Rajajipuram Housing ? have complained about scanty and dirty water supply but with no results. Shiv Pal Sawariya, corporator of Rajajipuram ward said, "Blocks F and D have been receiving contaminated water supply since last 20 days. 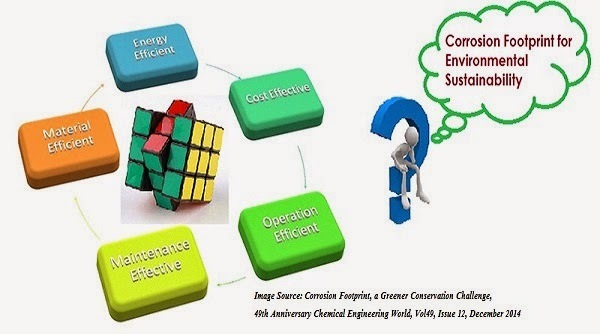 Use of plastic pipes instead of galvanized iron ones to save on connection cost is the major reason behind this problem". The plastic pipes are risky as they wither away with time, allowing mud and sewage to seep in and mix with the water supply, he added. The area is densely populated and has very old sewer lines which run close to water pipelines. These pipelines are in extremely bad condition as a result of which sewage content frequently mixes with the water supply. "Sewer lines should ideally be changed every 30 years but in Rajajipuram, they are more than 40 years old." said a resident. Jitendra Upadhyay, another resident said, "When I requested Lucknow Municipal Corporation to change the pipelines, I got the same old excuse of lack of funds." Bhavya Puram area of Block A has not received water for the last 8 days. Problems related to water shortage and dissolved impurities in drinking water supply are enormously increasing in various localities of Rajajipuram, he added . The entire area is having around 1000 hand pumps but unfortunately 80% of them are not working. Re-boring and repairing is a major challenge for corporators here. Jal Nigam is supposed to handle the work of re-boring, but often, they delay the work and wants government's approval for funds. People have been fighting to get water for drinking purpose and other household chores. The locals also fear that water borne diseases are likely to spread under such conditions.